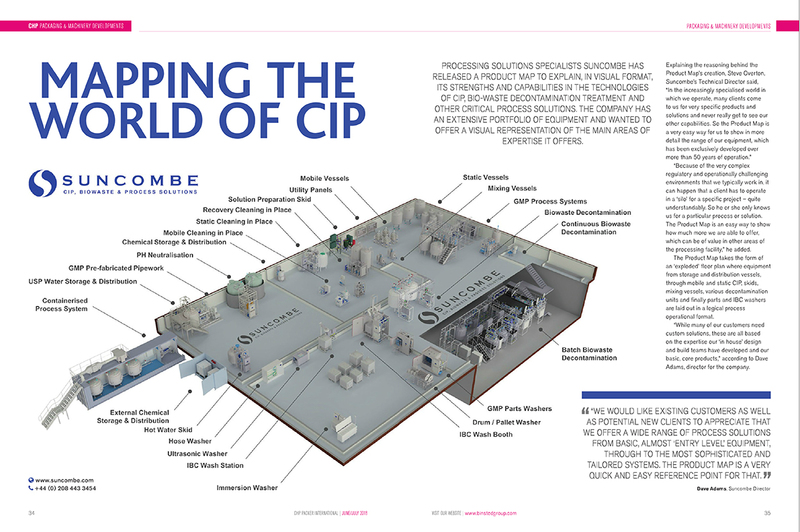 About Suncombe: formed in 1961, the company designs and manufactures high quality biowaste decontamination, cleaning and critical processing systems for the Processing Industries. Expertise includes Cleaning In Place and Sterilising, Washers, BioWaste Effluent Treatment, Liquid Processing, Tanks and Vessels, Filter Skids, Processing Skids/Modules and bespoke processing solutions and projects for the BioPharma, Personal Care, Food & Beverage, Medical, Research and other critical processing Industries. The company has a worldwide network of agents and distributors. All machines are designed and built in the UK.